Idea is to play 94 feet of offense. Why? Unlike the perception that running teams play without discipline, you as the coach has control if you practice the right way every day. Transition offense is a great recruiting tool obviously, its easy to sell players on it. Finally, a quick scoring offense prevents teams from pressing you full court. - Always outlet ballside because its faster. 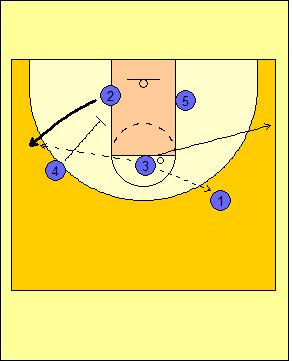 - Players should catch the ball on the run and run their lanes as wide as possible. - Reverse the ball, get it going side-to-side as much as possible. 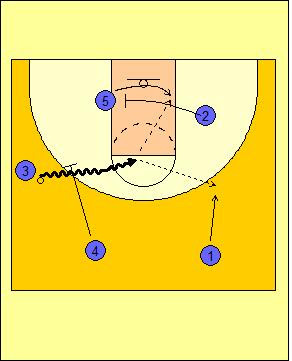 - Bigs should run rim to rim with the trailing big looking to hit the other big on the run or on early post-up. - If there are 2 or less defenders, try to score in 2 or less passes. 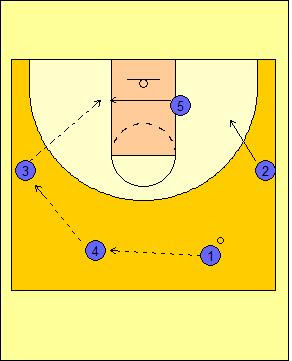 Run the secondary break if more than 2 defenders. This past season, the Tar Heels did one of 2 things. They got the ball into Tyler Hansbrough early; and they hit a ton of early 3-pointers. They accomplished this mostly through their secondary break and early offense. The UNC secondary break is exceptionally simple, yet when executed properly, it is very hard to stop as we've seen the past several years with UNC. Getting the ball into the post early on, and shooting well from the perimeter are obviously crucial. If you want to learn more, check out the Secrets of the UNC Secondary Break DVD or any of the DVDs from Coach Roy Williams. How Much Does Tradition Really Matter?? To V-Cut or Not to V-Cut?? I'm a writer and a coach.